Have you ever wondered why, when the city has so many Spanish speakers, comedy performed in Spanish can be hard to find? 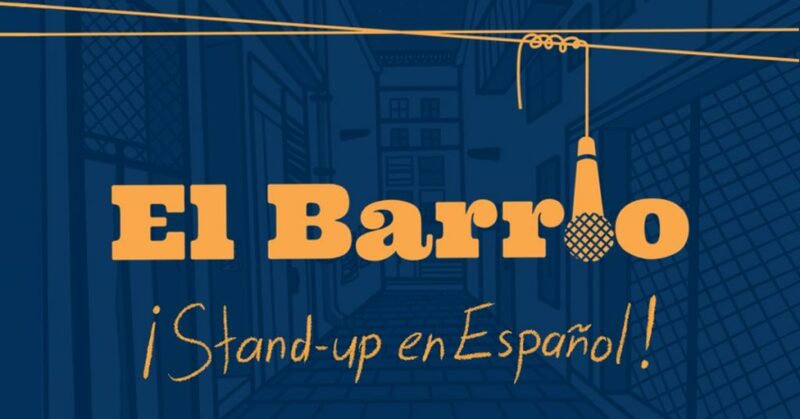 Never fear, El Barrio is here--to deliver top-notch comics performing en español, on Saturday, January 26 at 10:30! We quizzed creator Chano García on all the details. What's El Barrio all about? The purpose of El Barrio is to create a space for Spanish comedy here in the city. There's always been a place for Spanish music, dance, poetry, and even plays. But no comedy. Which is crazy when you think about the huge number of hispanic people in this city that love to laugh. So we decided to do something about it. We're starting with stand-up because there's it's a comedic form that is widely known in the hispanic community, and because there's been a huge surge of stand-up in Spanish-speaking countries and on platforms like Netflix. Eventually though, we'd like to add sketch and improv into the mix. Tell us about your lineup! Are they seasoned standups, new to performing in Spanish, or brand-new to stand up all together? This show is full of seasoned performers! These are Spanish-speaking comedians that have been honing their craft for years in English, and are now crossing over into the Spanish market. We do have classes and open mics designed to bring new comers into the fold, but performers like these are gonna be the ones leading the way if this project is going to take off. I'm very thankful to have had so many people come forward and offer to perform. We already have a wait list for the next show! Does the name El Barrio (the neighborhood) have a particular significance for you? It definitely does. I thought about it a lot, had some input from friends, and finally settled on "El Barrio" because I wanted a name that would encapsulate the sense of community that we're trying to create. It's also a nod to all the great comedians I grew up with like Tin Tan, Viruta y Capulina, El Resortes, Cantinflas etc. They always played characters from the "barrio" who used their wit and heart to get past their humble beginnings. What's special about doing standup in Spanish? Do you feel like your sense of humor is different depending on which language you're writing in? Yes! This is a huge one. Performing in my native language is completely different. I've always had a great time performing in English, but there's something very visceral about doing it in the language you grew up with. It's like I've been running at 85% this whole time, and now I'm actually going full throttle! What kind of classes does El Barrio offer? Right now we're focusing on stand-up because that's what people know. But I'm secretly hoping that once this takes off we can start performing some sketch and even improv in Spanish. If people are interested, we'll have classes on how to do those things in Spanish too. No pierdas la oportunidad de ver El Barrio, el día 26 de enero a las 10:30 pm, solo en el Magnet Theater!